Having the right DEF dispenser will save you from damaging the engine on your expensive machinery. It will also help you to realize the importance of investing in the right refueling equipment to improve your efficiencies. 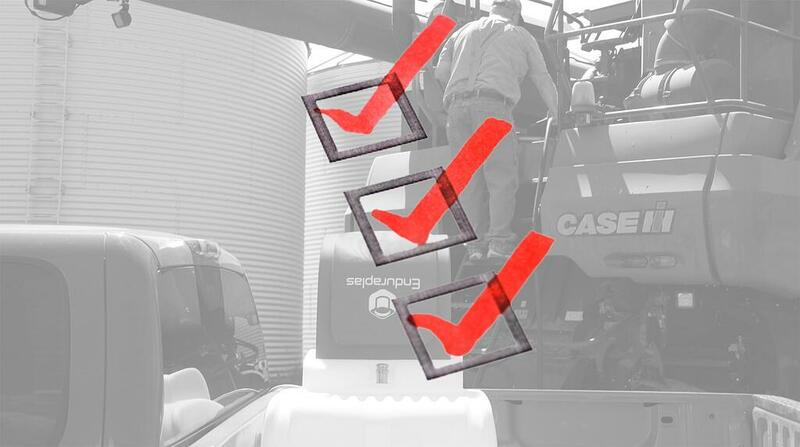 Although there are other features that are handy on a DEF dispenser, here are the 3 must-haves that you should consider. Stainless steel and plastic components - If any steel is exposed to DEF, it will immediately start to corrode. This means using only poly or stainless steel components is a must. Most important of all, ensure your tank is made from plastic. Vein pump - A vein pump ensures that your valves do not block up when the DEF crystalizes after sitting there for a period of time. Vein pumps are also extremely easy to pull apart and maintain. ISO 22241 compliant tank - Having a tank that is compatible with diesel exhaust fluid is important. This will mean that your DEF will stay pure preventing any harm being done to your machines engine. To understand more about ISO 22241 and the importance of it, click here. What happens when DEF leaks onto steel or aluminum? Knowing what happens when diesel exhaust fluid droplets leak onto steel or aluminum can save you money. Because DEF is made with a lot of high-purity urea, if it comes in contact with carbon steel, aluminum, copper or zinc, these materials will immediately begin to corrode or rust. Over time, they will break down. As a word of caution, some DEF dispensers come with a steel structure holding the plastic tank. Although the plastic tank will not be effected, the steel structure will. So, when looking for a DEF dispenser, it is important you take this into account.